Children’s activities at Tinytots International Daycare & Preschool encompasses the overall goal for all-round development- social, emotional, physical, cognitive and creativity. Activities are structured in a consistent schedule while offering room for flexibility, depending on the needs of the children. We believe children learns best by pursuing their personal interest in a stable and familiar environment. Art and creative crafts activities are designed according to the chosen ”theme of the week”. Children use simple accessories and equipments to express what they feel, think and imagine through paintings, modelling and crafts. 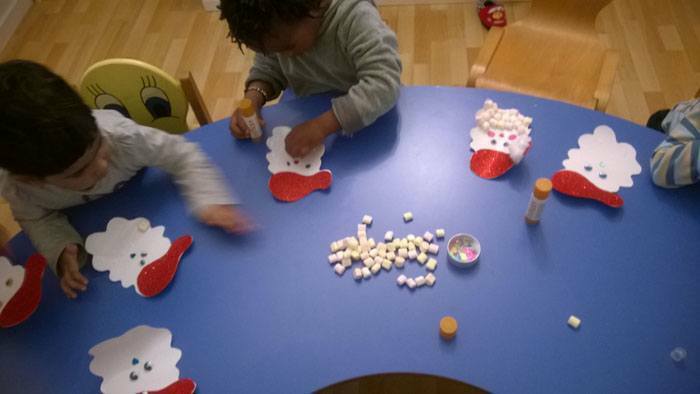 Activities are carefully planned with stories and pretend-play to develop a range of skills including perceptual, cognitive, language and social skills. 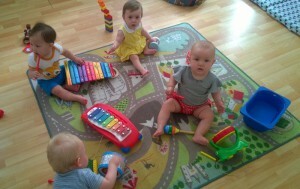 Movement and music sessions are integral part of our daily schedule. The sessions are incorporated both in our indoor time and outdoor time. 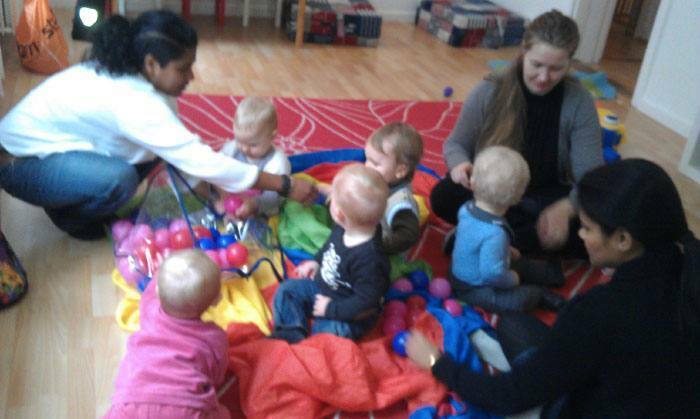 Depending on the needs of the group, movement and music are chosen- with special emphasis to develop gross and fine motor skills and body awareness. Rhythmic (Rytmik in Danish) session is a specialised session within movement & music. By using rhythm, the focus is on stimulating the child’s 3 primary senses (maze-, feeling-, muscle-joint sense), along with a sense of predictability and being close to others in a safe environment. Rhythmic sessions are conducted by our teachers and also once in two weeks with external baby rhythmic expert. Yoga sessions are conducted twice a week for toddlers and preschoolers. By teaching simple yoga poses to children, our sessions are designed to bring about the essential goals- improvement of motor skills, coordination, relaxation and endurance. Our yoga sessions in groups also help children to develop social skills of working together and pay attention to each other. 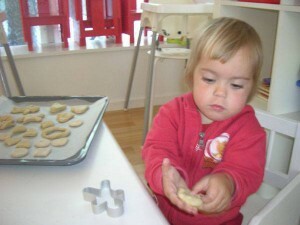 It’s so much fun in the kitchen and why not make children a part of it too. 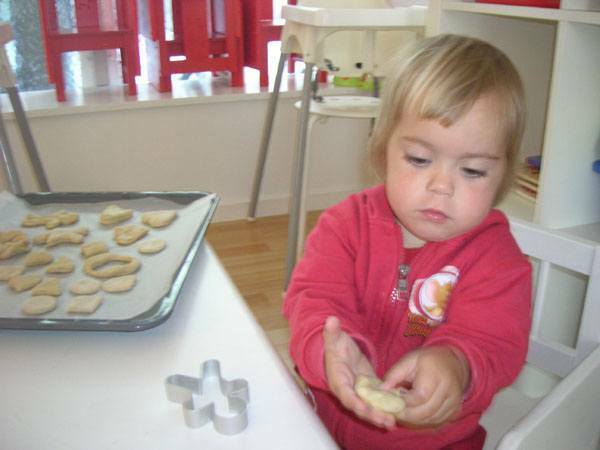 Our baking sessions are held once a week, with children learning how to make different shapes of cookies, how to decorate cakes and cupcakes. All sessions are held under the supervision of a certified chef, in a most child-friendly and secure way. We encourager children to expand imagination and taste buds- foster a love for culinery skills.